Executives from Steinhoff, together with the Hawks, the National Prosecuting Authority, the JSE and other regulatory bodies on Tuesday appeared before a joint sitting of three Parliamentary committees. On Friday Steinhoff made public an 11-page overview of a 3 000-page forensic report into Steinhoff. The report, by PwC, found that a "small group" of former executives inflated the profit and asset values of the Steinhoff group for years. Steinhoff, after being instructed to do so by the committee, made public the names of eight people implicated in the PwC report. The "small group" of former Steinhoff executives are: Markus Jooste; Dirk Schreiber; Ben le Grange and Stehan Grobler. The other executives are : Siegmar Schmidt; Alan Evans; Jean-Noel Pasquier and "Mr Ramano". No further details were provided, meaning it was not clear where and why they were mentioned in the PwC report. Steinhoff's CEO, Louis du Preez, said the company had not yet agreed to share the PwC report with any regulators. He said Steinhoff would, however, follow all applicable laws. The group has thus far only made an 11-page overview of the report public, which did not mention the names of any executives. The full report covers 15 000 pages, according to Steinhoff board chair Heather Sonn. Yunus Carrim, the chair of Parliament's standing committee on finance, advised regulators they could officially ask for the report after the meeting ended. He specifically ordered the Hawks to secure the report. MPs questioned why the Hawks - after having had over a year to investigate - said they had only probed one suspicious transaction, an investigation which is yet to be completed. Carrim ordered the Hawks to provide weekly feedback to Parliament on progress being made into the investigation. Carrim, like other committee members, says he is unimpressed with the presentation by the Hawks. He wants to know what the Hawks have done to secure the PwC report since it became known on Friday that it was complete. Carrim then gave the Hawks 24 hours to secure the report. He further instructed the Hawks to provide weekly feedback to Parliament on progress being made into the investigation. ANC MP Dikeledi Mahlangu has said that if former Steinhoff CEO Markus Jooste was black, prosecuting authorities would have taken the investigation more seriously and would have arrested him by now. "If he was black it would have been a huge thing, there would have been prosecution by now," she said. Mahlangu made her comments shortly after the Hawks and NPA made presentations on the progress made on probes and prosecutions related to the group. She said that Jooste undermined Parliament, the NPA and the Hawks. "It's like chasing a moving shadow," she said. She urged law enforcement agencies to act because bodies conducting oversight like Parliament are now appearing to be "toothless". "This is people's money we are talking about," she said, referring to the loss in value of Steinhoff shares in December last year when knowledge of the accounting irregularities was revealed. Lieutenant General Godfrey Lebeya said that the three cases opened against Steinhoff in December 2017 have since been merged into a single docket. "There is fraud that was committed with regard to the specific transaction that has taken place in SA," he said, adding that the scope of the investigation is to be expanded. fraud;theft;contraventions of the prevention of corrupt activities act;contraventions of the organised crime act; andcontraventions of the companies act. The second phase of the Hawks investigation will deal with the new developments which have emerged. Reports in the media space, including the PwC report, will be considered for the probe. The Hawks have also increased the capacity of their investigating team to five officers, who will work with a prosecuting team. DA MP Alf Lees expressed frustration that the Hawks only investigated one transaction for over a year. He asked what the budget of the investigation was, and how it was possible five people were investigated a single transaction, an investigation which is yet to be completed. "This is the biggest corporate fraud in the history of SA and [the Hawks] traced one transaction, which was not concluded and no one has been charged." The Steinhoff CEO says the group will engage with regulators if they think they need access to the report. "At the moment none of the regulators have access to the full report," he said. He says he is the only person at Steinhoff to have a physical copy of the report. Other people have electronic copies that "cannot be printed". Du Preez says other organisations with access to the report include Werksmans Attorneys and PwC. Carrim, meanwhile, tells regulators they should ask for the report. Du Preez mentioned the names after being instructed to do so by the a resolution of the committee. MPs have been discussing why Steinhoff has not made the names of the people implicated in the PwC report public yet. Steinhoff has been advised by its lawyers not to make the names public, as it might compromise legal processes taking place in other jurisdictions, in particular the Netherlands, where Steinhoff is domiciled. Carrim said whether Steinhoff reveals the names or not, they could potentially end up in the public domain through the media. Advocate Frank Jenkins, who has been investigating what steps SA Parliament can take without undermining processes in Holland, said that under the Powers, Privileges and Immunities (PPI) Act Parliament can request information to be revealed if it is in pursuit of Parliament's mandate. This means Parliament can force Steinhoff to reveal the names of those implicated in the report. In turn Steinhoff can rebut this on the grounds that it is not within Parliament's mandate. In that case, the committee can then summons Steinhoff to do so. DA MP Alf Lees asks Steinhoff leadership why it has said it is not (yet) releasing the PwC report to the FSCA. He asks whether it has more to do with the fact that Steinhoff fears that companies suing it would use that information in court, and less do with with confidential legal information. He also asks Steinhoff chair Heather Sonn why she and other board members have not resigned as the fraud took place when she was part of Steinhoff's board. Steinhoff chair Heather Sonn says the group was still in a voluntary arrangement with creditors: "We have to get that to completion", Sonn said. She said Steinhoff needs to get finalisation of the arrangement with creditors to ensure operating companies can continue to operate. Steinhoff is working on a remedial plan following the findings the PwC investigation, Sonn said. She added the board has resolved to pursue claims against implicated parties. Steinhoff will also pursue recovery of losses incurred and damages suffered. While the FSCA earlier said it would be receiving the full PwC report from Steinhoff, Du Preez said there was no undertaking yet to give the FSCA access to the report. Du Preez said the financial effect of the accounting irregularities, which, according to the PwC report, overstated Steinhoff's income and assets via irregular transactions by 6bn, will only be known when the 2017/18 financial results are released. He said the report showed that "a small group of Steinhoff Group former executives and other non-Steinhoff executives, led by a senior management executive, structured and implemented various transactions over a number of years which had the result of substantially inflating the profit and asset values of the Steinhoff Group over an extended period." Steinhoff is working with Deloitte to finalise its 2017 and 2018 consolidated financial statements, while considering the findings from the forensic investigation. "The forensic findings may influence the nature of the audit opinion," Du Preez said. Sonn says the global retailer has prioritised finalising its financial statements, completing a forensic report to uncover wrongdoing and is considering what legal processes to follow. In response criticisms that Steinhoff did not act quickly enough against wrongdoers, she said it was important for legal processes to take their course. "If we did anything on short term demand, it would have long-term consequences [for legal processes]." Sonn, the chair of Steinhoff's board, says the group will now present an overview of the PwC report. Steinhoff CEO Louis du Preez is also in attendance. Sonn says she will not share anything that could stand in the way of a successful prosecution. She says the 14-month PwC investigation was extremely complex. The complete report contains 14 000 pages, when annexes are included. She said 22 current and former directors were interviewed. "I have no budgetary constraint whatsoever," says Topham of the Financial Sector Conduct Authority. 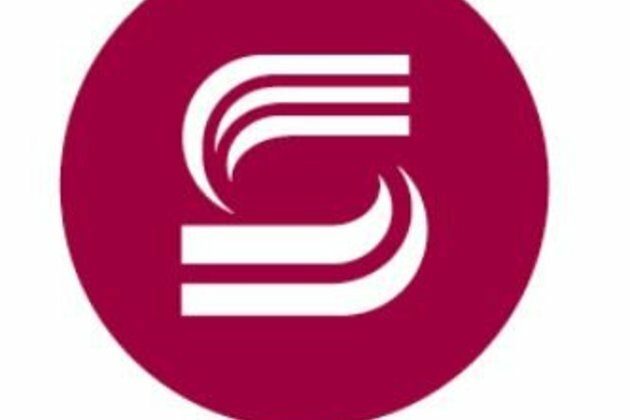 He reiterated that Steinhoff was the FSCA's number one priority but he could not give a timeframe for the completion of its investigation into the multinational. Topham said the authority was set to soon receive the full PwC report from Steinhoff which is 3000 pages long and includes some 4000 annexes. He said there was good international cooperation around investigations into the company. Rory Voller of the CIPC responded to questions about the legal basis for withholding the names of those implicated for wrongdoing at Steinhoff. He told the committee he believed there are no legal grounds to withhold names anymore. The request was initially made by Steinhoff, so as not to jeopardise investigations by the SAPS, but said this may no longer relevant. He said Steinhoff must answer why the names cannot be revealed. Newton-King says more money is needed to "capacitate enforcement" by bringing in investigative capacity. The JSE CEO, in response to a question from Yunus Carrim, said further or more stringent regulations would not necessarily help. "We have lots of good laws, people find a way around them. The ethical compass is off centre," she said. In response to a question around why proactive monitoring processes could not detect wrongdoing, she said if things are deliberately withheld they can be difficult to pick them up. Yunus Carrim, the chair of the oversight committee on finance, has said that former Steinhoff chair Markus Jooste is probably "jogging" or "shopping". "The public wants convictions," he said. "We want people in those yellow outfits". DA MP David Ross, during a short discussion period, asked why it took the JSE so long to pick up irregularities at Steinhoff. His party colleague Alf Lees asked why the CIPC will not name people who have been investigated, specifically on what "legal basis" this decision was made. The head of investigations and enforcement at the FSCA, Brandon Topham, said the authority was investigating three offenses at Steinhoff: insider trading, market manipulation and false and misleading information. He said that, for the next three to six months, the Steinhoff matter will be its number one priority. Topham said the FSCA was awaiting the full PwC report, and had already received some of it. Potential penalties would be known once the investigation was complete. Topham also asked anyone who had been advised to sell Steinhoff shares by executives to come forward as part of its insider trading investigation. The Companies and Intellectual Property Commission will be seeking applications to declare former Steinhoff directors as delinquent directors, the committee heard. The CIPC said it was also working with the Hawks and NPA in terms of pursuing criminal prosecutions. Newton-King was first to give evidence. She told the committee that disciplinary action had been taken against Steinhoff and its subsidiary Pepkor. The JSE fined Steinhoff R1m for failing to disclose a downgrade in the immediate aftermath of reports of its accounting irregularities. The JSE similarly fined Pepkor R5m. Newton-King said the JSE issued a consultative document in September 2018, with the purpose of working on proposals for the JSE to strengthen its regulatory approach to new and existing listings. The document also provided information to enhance investor confidence in the secondary market trading in JSE listed securities. The JSE received 74 responses to the document, which were generally supportive. She also said that the JSE could not freeze Steinhoff shares for not submitting its financials, as the company was dual-listed on the Frankfurt Stock Exchange. The FSE said it would not freeze the group's shares, meaning the JSE could not freeze them either. Newton-King said the JSE would still consult and consider the full PwC report. The PwC forensic probe found that an unnamed "senior management executive" instructed a small group of other executives to execute instructions, often with the assistance of a "small number of persons not employed by the Steinhoff Group". Steinhoff said none of the executives identified in the PwC report are currently employed by the group. The overview states that the small clique of executives used "fictitious and/or irregular transactions" to inflate the group's profits and assets by about 6.5bn (roughly R105bn) between the 2009 and 2017 financial years.